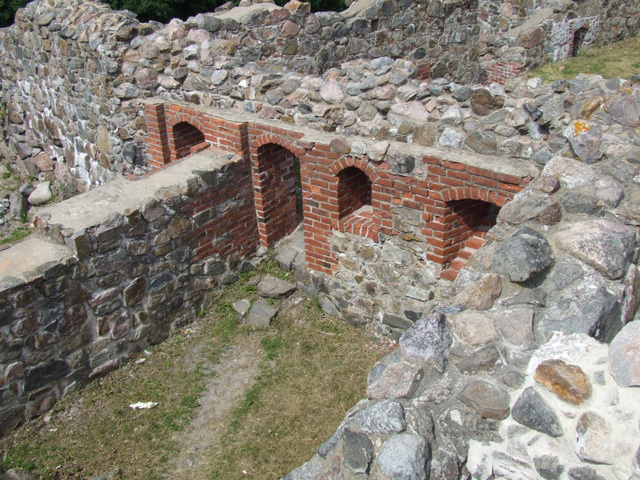 Notes: Kuusisto Castle (Finnish: Kuusiston piispanlinna, Swedish: Kusto biskopsborg) was a medieval episcopal castle on an island of Kuusisto in Kaarina, Finland, near Turku. The castle was probably built in the early 14th century, although the site seems to have been a bishop's residence by the 1290s. The castle was ordered to be demolished during the Protestant Reformation in 1528 by the king Gustav I of Sweden. Excavation and reconstruction work on the remaining ruins began in 1891.